"The groaning grew louder in intensity, jarring Arthur Warren Waite from a deep slumber. The poison was working, just not fast enough." 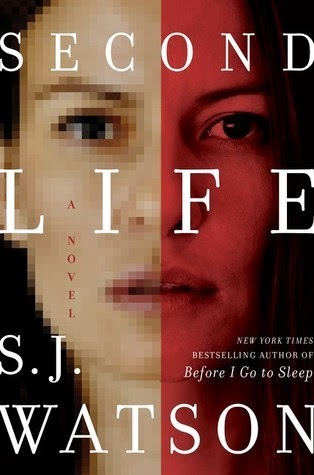 Author of Before I Go To Sleep, is back with a new novel titled Second Life. With high expectations set, I dived in reading the ARC. Julia is settled into her life in London with her surgeon husband and teenage son. Life is uneventful until the brutal murder of her sister, who lived in Paris, opens old wounds. After speaking with Anna, her sister's best friend, she finds out the extent of her sister's second life of online chat rooms and cybersex. What started out as a search for the truth turns into Julia giving in to her own desires. With plans to seek out her sister's killer, she creates an online profile and meets Lukas in an online chat room. She soon finds out that so much can go wrong. It's not only cybersex. Things can get really dangerous. Second Life starts off really slow. The suspense didn't build until halfway through the story. Perhaps because the main character was not likable. She didn't think logically and kept making dumb mistakes. With that aside, having read another S.J. Watson novel, I expected a good twist. I knew whatever twist I thought I figured out, was not true. While this follow-up book was not as good as Watson's debut novel, it still threw me for loop after loop. And the ending left me quite annoyed, literally flipping the ePages and wondering if the galley didn't fully download. Surely I am missing a chapter. Because that ending?! If this is the reaction the author wanted from readers, then bingo. Second Life will be published on February 12, 2015. Mystery lovers, add it to your wish list. If you aren't into psychological twisted reads, pass on this book. My Series Sunday pick is Emma's Secret, the second book in the Finding Emma series by Steena Holmes. The family's youngest child, Emma, has been returned home after being kidnapped two years ago. She's different from the happy toddler they remember. She barely remembers her parents and older sisters. She is quiet. Not only does she prefer to be called Emmie (the name given by her kidnappers) but she longs for the people who kidnapped her. 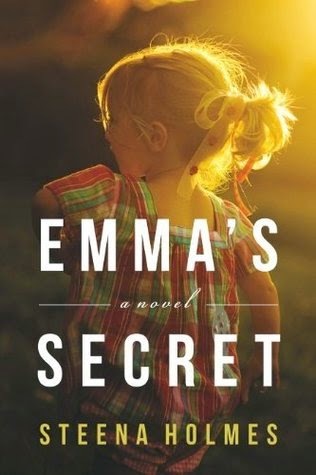 Emma's Secret is the aftermath of a kidnapped child returned home. You would think it is all smiles and laughter. Instead Steena Holmes keeps it real and writes about the challenges the family face, the mistrust and how secrets can change everything...again. It was easy to read this sequel in one day. Nowadays it is the trend to leave readers hanging with an unnecessary cliffhanger. 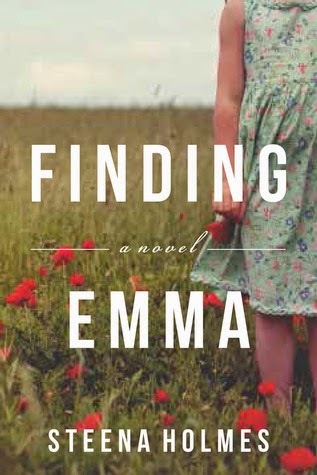 Thanks to the author, I finished the Finding Emma series feeling satisfied. 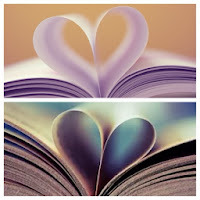 Thank you for your continued support, bookhearts. 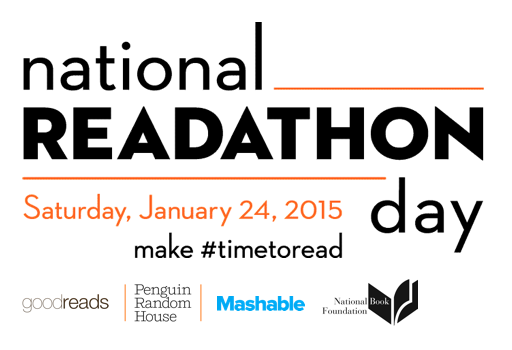 Join me in reading from noon until 4 p.m. on National Readathon Day. The goal is to promote literacy and make time to read. 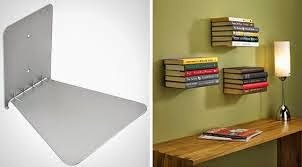 "When you are alone and too tired even to turn on any of your devices, you let yourself linger in a past stacked among your pillows." Have you ever met someone that not only looks on the bright side but lives on the bright side? That is Kate Sedgwick. Despite the loss, hardship and tragedy she has endured, Kate remains happy, optimistic and funny. No wonder her best friend Gus calls her Bright Side. There is just one thing that Kate doesn't believe in: love. Sure, she ends every conversation with Gus with an "I love you" but she has other priorities and plans that do not include falling in love. So when she leaves San Diego to attend college in Minnesota, she doesn't expect to meet a man let alone fall in love. Keller Banks is a flirt. Nothing ever comes of it. But it is love at first sight when Kate walks through the door of Grounds, a local coffee spot in the college town. Neither of them want to feel love because they each have a secret. It was easy to figure out both secrets but it didn't stop the tears from falling as the story unfolded. 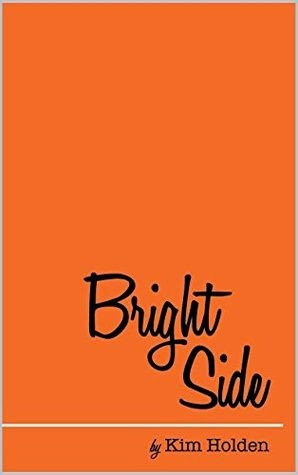 Reading Bright Side was like riding a ferris wheel. I got butterflies in my stomach as I neared the climax. I enjoyed every minute of the ride. And when it was over, I didn't want to get off. I walked away from the ride with a sad smile. Bright Side is not a fairy tale. 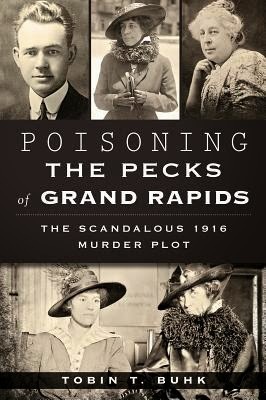 It is not always a feel-good novel. It is reality in fiction literary form. I appreciate the author's writing style and how she quickly grabbed my attention making it hard to let go until the last page was read. Kim Holden, please hurry and publish Gus's story. I am on the edge of my reading chair waiting to read his side and what is on his CD. In the words of your characters, "do epic" with the follow-up novel. With this one book, you have gained a new fan. I heart daily devotionals. I've become accustomed to reading a daily positive passage to start and end my day right. 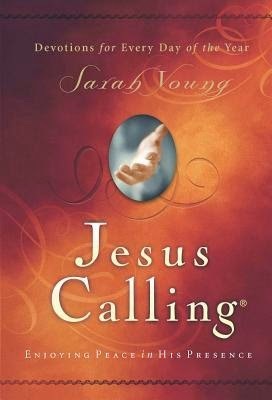 For 2015, I chose Jesus Calling: Enjoying Peace in His Presence by Sarah Young. Per my usual routine, I highlight, jot down quotes and journal my thoughts as I read throughout the year. Share your daily devotional for this new year. My goal is to read 75 books in 2015. You can monitor my progress by the tracker in the lower right column of this blog. My goal is to read 20,000+ pages in 2015. 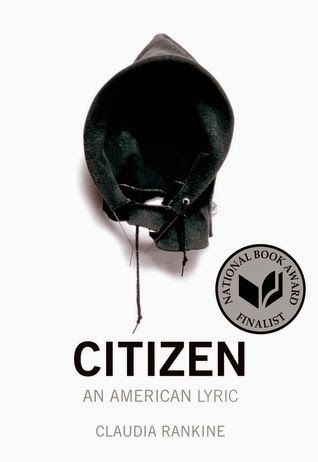 My goal is to read 19-24 books by or about a person of color in 2015. 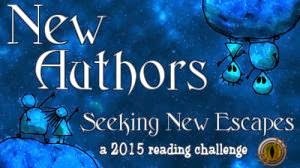 My goal is to read 15 books by authors new to me in 2015. 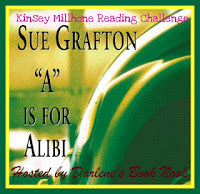 My goal is to continue reading books in the Kinsey Millhone alphabet series.